Each year, inspectors for the Trust for Architectural Easements visit more than 830 historic properties where the Trust holds an historic preservation easement or preservation restriction agreement. 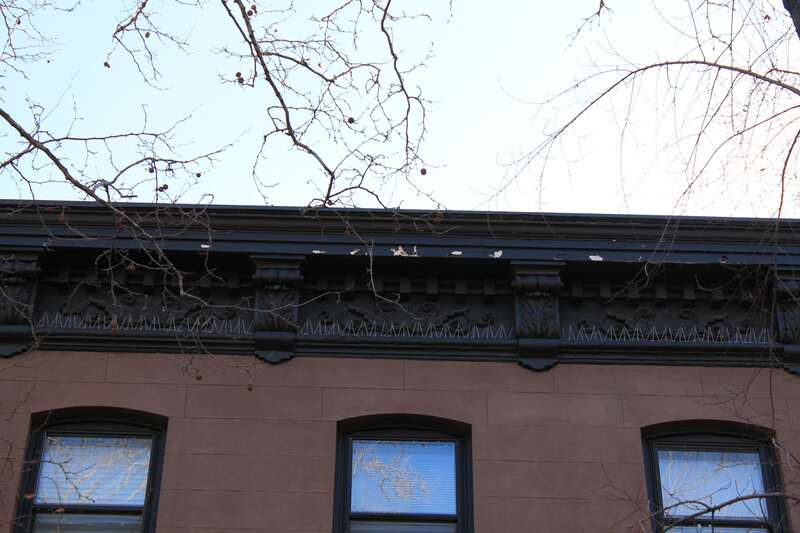 Following our visits, we report the inspection results to the owners, often alerting them to minor maintenance issues we observed that could ultimately threaten the historic character of the building if not addressed. 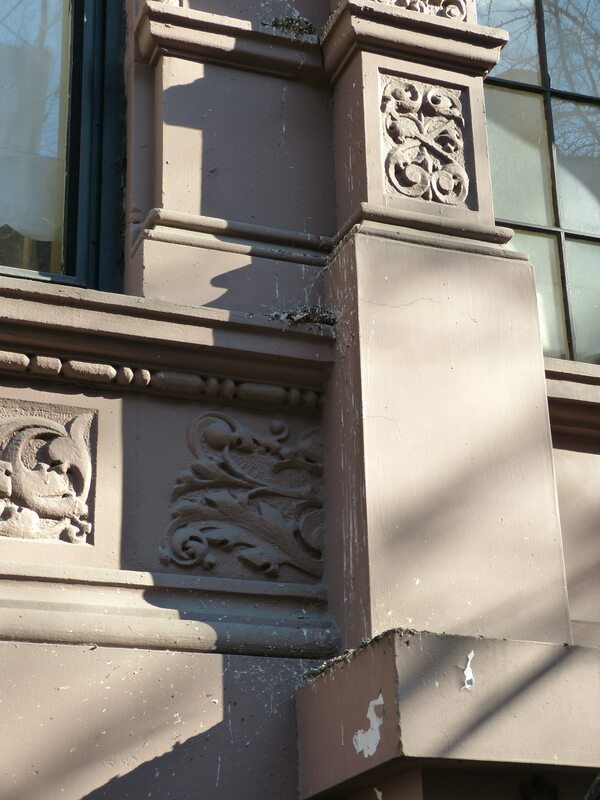 Developing a maintenance plan—and committing to stick with it—is an effective way to manage the routine maintenance tasks that are essential to extending the life of your historic property. 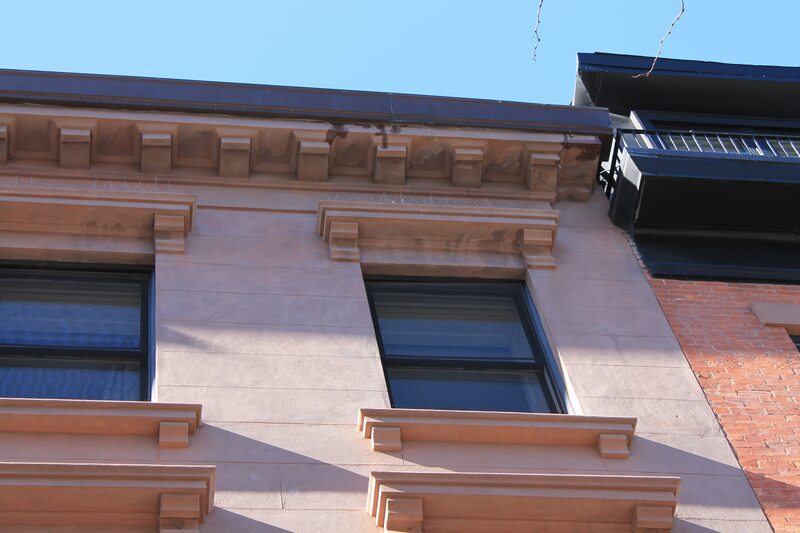 Not only does maintenance preserve the integrity of your property’s original historic and character-defining features, but it also prevents major building system failures and provides a safe environment for the occupants. 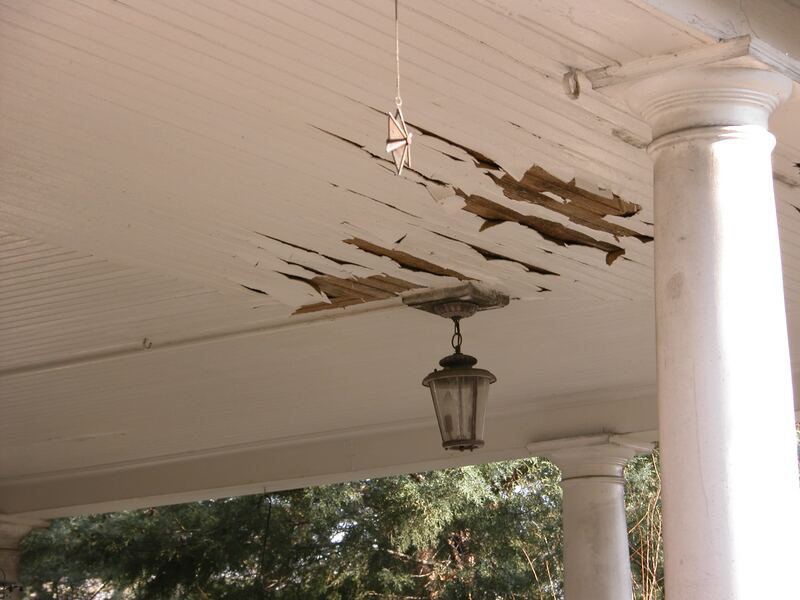 Creating a maintenance plan that includes a schedule for regular inspections and repairs means that peeling and flaking paint seen here is halted and corrected long before it can deteriorate to the point of exposing bare wood to the elements. A maintenance plan is a document that includes background information about the property, a schedule for regular maintenance, and a record of work completed. It can be as short as a few pages or it can fill an entire binder, but whatever its size, it needs to be useful. A good maintenance plan is one that you will refer to regularly as you take on repair and maintenance projects, and its components will ensure you have the data to protect your historic property for generations to come. Character-defining features can vary considerably between one historic property and another depending on architectural style and history. 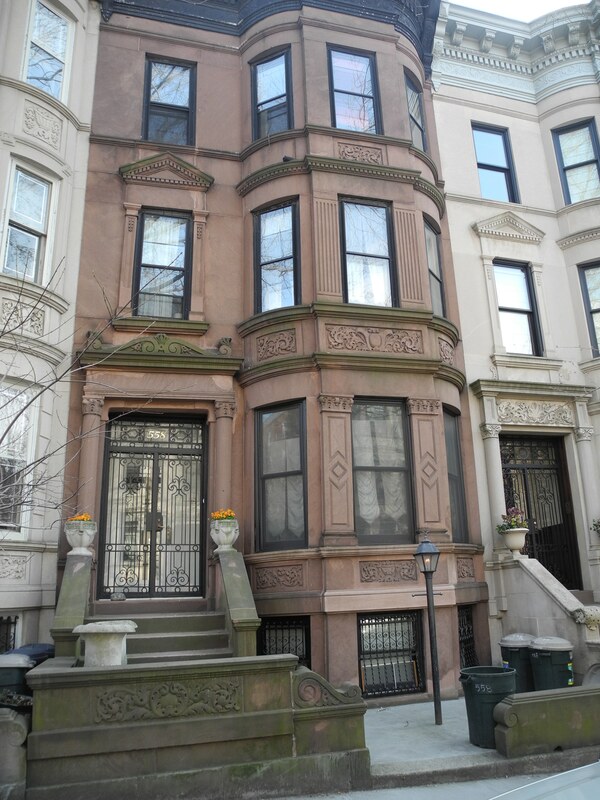 Properties that are listed in the National Register of Historic Places, state registers, and local registers almost always have a previously-written architectural description, which is a good starting point for identifying character-defining features. (All of the Trust’s easement-protected properties have a recorded architectural description—contact us for yours.) You may also be able to find a description of your building in city documents, such as a historic property survey or identification reports that are available at your municipality’s planning department. 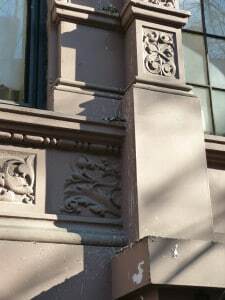 Maintenance of paint on character-defining features of buildings, such as this property’s cornice, will protect the irreplaceable historic materials that make the building distinctive. Architectural descriptions can vary in quality, however, and you may have trouble finding an adequate description of the character-defining features of your property. The National Parks Services’ Preservation Brief 17: Architectural Character—Identifying the Visual Aspects of Historic Buildings as an Aid to Preserving their Character contains a useful checklist/questionnaire to help you create your own. A Field Guide for American Houses: the Definitive Guide to Identifying and Understanding America’s Domestic Architecture by Virginia Savage McAlester is another excellent resource for identifying your property’s distinctive features, because it provides summaries of American domestic architectural styles and their characteristics. The next piece of your maintenance plan is a timeline of the property’s construction, alterations, and additions. 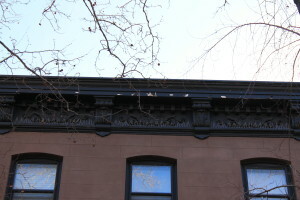 Like the architectural description, the construction chronology is an aid for identifying which historic features are original and later additions, and which of the character-defining features require special attention. You may be able to find all the information you need in the architectural description, or a visit to your municipality’s building department to review historic building permits could be helpful. Record whatever information you can locate, and begin your chronology with the property’s original construction date, followed by the dates of any subsequent additions or alterations. Include dates for rear, side, and roof additions; porch enclosures; window pane and frame replacements; roof replacements; gutter, downspout, and flashing replacements; repainting; repointing of masonry; and any other alterations and maintenance work that has taken place. As you compile the chronology, make not of any technical information you find about the materials of different features, which could guide you toward appropriate repair in the future. Historic photographs, architectural plans, sketches, drawings, and current photographs are the final component of the background information included in your maintenance plan. Gather whatever is available to you. Again, these historic documents are a good source for documenting the materials that are original and distinctive. You may also want to include a collection of recent photos, taken annually, and use them comparatively to identify deteriorated conditions that may not be obvious otherwise. Once you have assembled the background information on your historic property, the next step is to create a schedule for periodic inspections and common tasks. The most common maintenance concerns the Trust inspectors observe during our annual inspections generally relate to deteriorating paint, which permits water infiltration, encouraging rot and rusting of support members and decorative details; biological growth on masonry; growth of vines or other vegetation over door and window openings; and damage/loss of architectural details, such as cornice elements. Undertaking yearly inspections of the exterior walls reveals chemical agents, such as this bird guano, that can cause decay of the surface if not removed. Annually: inspect your roof, chimneys, exterior walls and porches, windows, foundation and grade, building perimeter, and entryways for deteriorated materials. 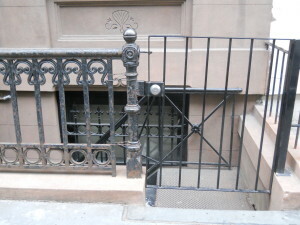 Take photographs of each elevation and mark the photographs anywhere that you have observed maintenance is needed. Follow-up the inspection by trimming plantings and removing climbing vine roots, washing off biological growth and efflorescence with water and natural bristle brush, lubricating vent grills, reattaching loose shutters and trim, repainting as needed, repointing as needed, treating for insect infestation, and adding soil to fill depressions around downspouts and splash blocks. Yearly washing of the walls and architectural features with a natural bristle brush, water, and a gentle detergent controls biological growth. 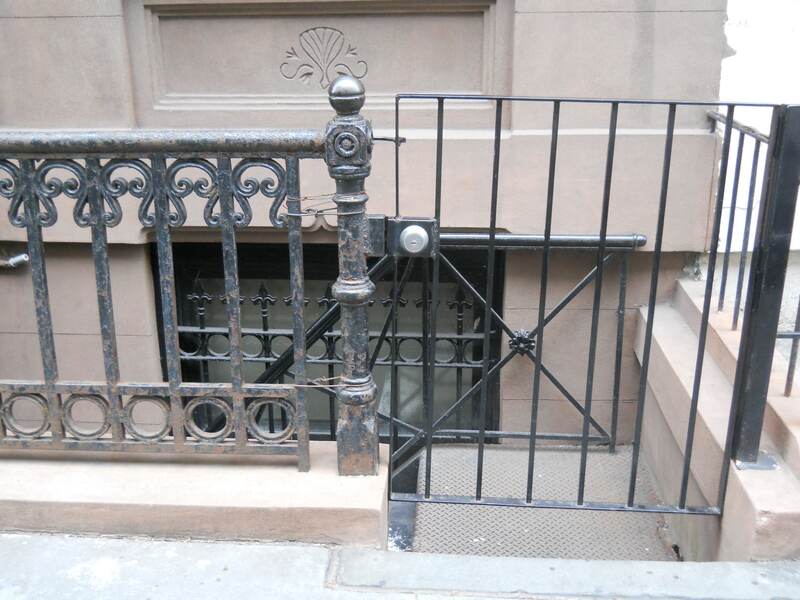 Routinely removing deteriorating paint, arresting rust, and repainting cast iron and steel railings protects the longevity of the metal. Trimming back vine growth that has encroached on windows and doors and is clinging to the walls keeps vine tendrils from causing damage to the masonry and other historic materials. Every six months: inspect your doors and roof drainage. After the inspection, clean the gutters and drains, and conduct any necessary maintenance at the doors. Carrying out twice-yearly inspections of gutters and downspouts allows for prompt detection of leaks, such as the one caused by the failed gutter above, and halts material loss, staining, and biological growth from water. After major storms or electrical outages, complete an inspection of the property to identify any damage that may need to be corrected immediately. Lastly, your maintenance plan should include copies of all estimates, contracts, warranties, paint colors, mortar recipes, and anything else related to work at the property. 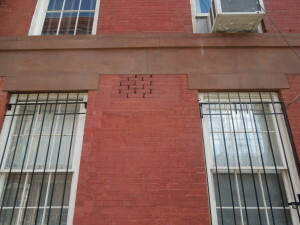 Replacing missing and crumbling mortar with mortar that matches the original mortar’s consistency, color, and tooling prevents water from infiltrating the bricks and the building structure, while giving it a unified appearance. 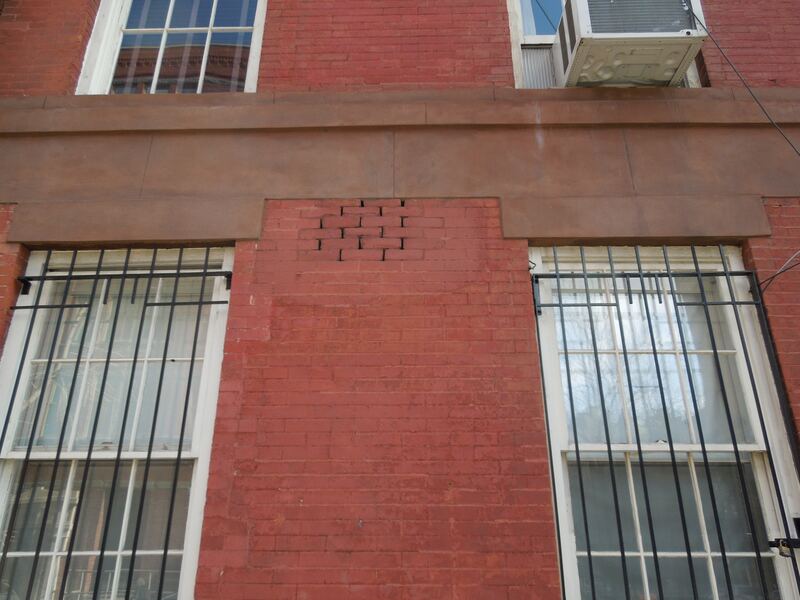 When maintaining your historic property, first and foremost, focus on doing no harm. Once historic fabric is gone, it can never be truly replaced. 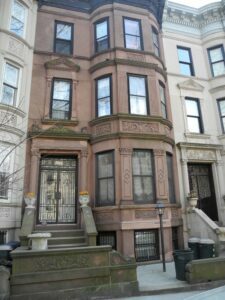 Refer to the Secretary of the Interior’s Standards for the Treatment of Historic Properties as a starting point. 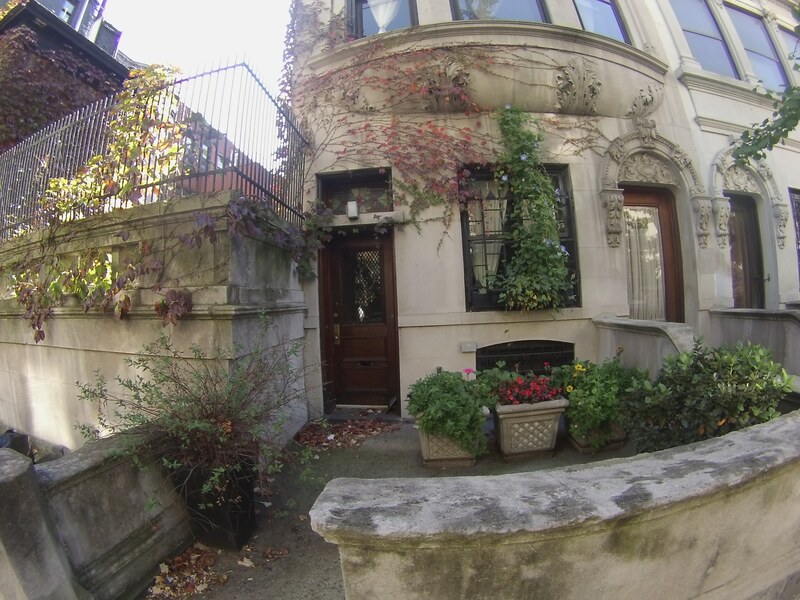 They are the most widely adopted standards for treatment of historic properties in the United States, and what the Trust for Architectural Easements uses to guide our decisions on maintenance, repairs, and alterations. Depending on the maintenance issue, you may need to hire a professional contractor to complete work. Ensure that anyone who works on your property has reviewed the maintenance plan, so that they understand the building’s character-defining features and your commitment to preserving the integrity of the original materials. Choose craftspeople who have experience working with historic building materials and know how best to preserve its significant features. Ready to start? It takes some time to compile your maintenance plan, so don’t be discouraged. Doing something is better than nothing. If you own an easement-protected property and you need advice on maintenance issues, do not hesitate to call or email us for assistance. We can help you take the best care possible of your historic property so that it can be enjoyed for many years to come.